Very often we are approached to quote and advise clients who need a reduced dimension lift solution to suit a minimal space. 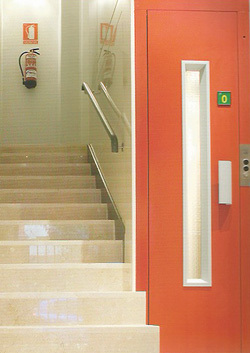 As access becomes more and more normalised, these kinds of machine roomless lifts are being installed countrywide, as people realise they need to provide unhindered access and must retro fit a lift to their existing property. When we require lifts with reduced dimensions, such as shallow headroom, pit, or unusual dimensions in accordance with the EN81-21 regulation, we tend to prefer MRL lifts, such as our traction units. MRL Lifts are machine roomless, a compact and energy-efficient gearless alternative to traditional hydraulic systems, requiring far less room for the installation of machinery and allowing space to be utilised to its best advantage. Available in a range of sizes, able to handle a varied range of load capacities, MRL lifts are perfectly suited to high-traffic usage. Their limited pit depth (100mm minimum) and headroom clearance (2500mm minimum) make them the perfect lift for reduced dimensions in existing spaces, especially where there is little or no room for pit excavations or headroom extensions. Don’t let their compact nature and easy installation fool you though, MRL Lifts can work hard. Their gearless systems lend themselves to heavy duty working environments, and they are more energy efficient to boot, making them better for your building and your budget. As much as we love MRL lifts, we do appreciate they are not for every scenario. When we are consulted to provide solutions, we do so on a case-by-case basis. We can also provide systems including: conventional hydraulics, electrics with a machine room sited above, below or to the side of the shaft, and drum-driven systems. 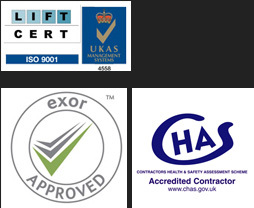 We cater to your needs, and provide the lift system most appropriate to your requirements. For all your machine roomless lifts and reduced dimension lift requirements, please get in touch with us today. Call us on 01525 601099, or email us at info@tower-lifts.co.uk for a no-obligation discussion. We look forward to hearing from you.